The following is a jumble of what’s been occupying headspace and keeping me awake at night lately. I had tried to make something cohesive out of it, but then I scrapped all of that and went back to how it felt: too many hard questions, too many competing inputs, too much heartache, too much suffering. And sometimes, things just don’t “make sense” and trying to shoehorn senselessness where it doesn’t fit just doesn’t help. Sometime understanding by gestalt is the best place to be. Anybody with an academic, social, or practical interest in favelas has seen evidence of thinking like this as a matter of habit. But, somehow, I had been thinking that it might be going away somewhat. And maybe it is. I still hope it is. It seems to have been in some ways. Not sure that book will help much. What struck me here was not just the presupposition that a favela is per se a conclusive cause for concern for safety and crime. That is of course not news. What struck me is the surety that someone from outside a favela would have to fear for his or her life by virtue of entering a favela. It’s not “amazing” that a person could “walk out alive” if you’ve ever been there, since 90% of what happens in favelas is working families, doing what working families do. I am of the opinion that stereotypes are never without some truth. But when the narration that describes and defines that “truth” is so heavily weighted from the vantage of the police, and positions of privilege and power, that “truth” becomes less meaningful. Simply less true. Even the book itself, while claiming to be an insider’s tour or something like that, has a Forward from Sérgio Cabral Filho, the governor of Rio de Janeiro State. 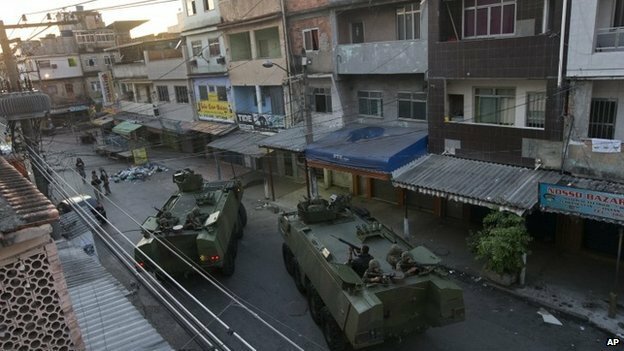 Not exactly “boots on the ground” or, at that rate, much of a sympathetic ear, let alone voice, to issues in favelas cariocas. They put her in the trunk. THE TRUNK. Do institutions and people operate similarly? It’s a fundamental question to political science, international relations, and social sciences. If people are the stuff institutions are made of, does the whole exhibit attributes of its parts? The answer seems so much closer to the surface when the link between the institution and the personal is so obvious and the prejudices are so bare. 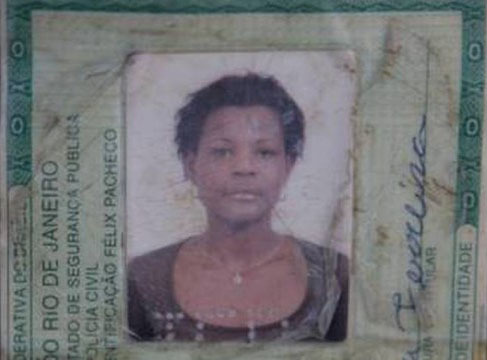 Last month, Cláudiada Silva Ferreira, resident of Madureira in Rio’s Zona Norte, was badly wounded in a shootout and subsequently shoved haphazard into the cargo compartment of a police SUV by officers of Rio’s Polícia Militar. I don’t want to go into the details much, I’ll let you do that if you’d like. (More news and commentary here, here and here). I’m still sick thinking of her husband and her four children who are left alone to cope, the kids old enough to know what’s going on but much too young to be left without their mother. “They treated her like an animal,” he said. Unspeakable. Rest in Peace Dona Claúdia and god be with your family. Armored vehicles on your street. (Click through for full story). Results of pacification are and have been clearly a mixed bag. And there are a lot of people living with the fallout. But now the state government, led by Governor Sérgio Cabral, is cracking down in earnest. Since pacification, violence and crime appear to be getting worse. According to this report I saw the other day, petty crime and violence are up in Rio from 2012 to 2013 Including the recent attacks on police stations, and the state government is calling in federal troops, because evidently the Pilícia Civil, Polícia Militar and BOPE, haven’t filled the martial law prescription yet. I don’t mean to be glib. I know it’s a horrible situation. But Rio goes through these cycles. Police crack down, traficantes push back. Innocent people get caught in the mix. It has to stop. Obviously. But Mr Cabral, this sort of thing will not stop as long as the current social conditions persist. As long as people are left out, as long as basic needs are not being met, we could pile on all the tanks and flak jackets and helicopters we have and all that will happen is that more people will die. NPR reported that crime was up “despite” the armed occupation. It seems more likely the other way around, like crime is up because of increased militarization. For all their faults, the Comando Vermelho, Amigos dos Amigos, and Terceiro Comando had kept street crime at bay. Struggling for control and seeking to gloss over the deep rooted problems before the influx of soccer fans, the power structure is desperately swatting the hornets it stirred up. Because this helped me, as good art tends to sometimes. I came across this series of comics expressing in nuance and detail, a lot of what’s left out of most reporting on favelas. It includes a shout out to the graphic novel format biography of Maurício Hora in “Morro da Favela” and the investigative journalism of Caco Barcellos in, “Abusado, O Dono Do Morro Dona Marta” which I intend to check out shortly. You should check out “Inside the Favelas” (not to be confused with the one with numbers in it’s name up there) right now.